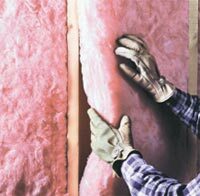 Whether you are updating the insulation in your home to lower your energy costs or you are building your dream home from the ground up, home batt insulation is an affordable choice that is available in a variety of options to provide you with the most resilient and cost-efficient insulation available. Here at Arango Insulation, we know how important it is to keep your home comfortable and secure, and this is why we proudly provide fiberglass, blanket, and other types of home batt insulation to suit any need and budget. Contact us today for more information about our available selection of home batt insulation and how we can be of assistance for all your residential and commercial needs throughout Georgia, Florida, the Carolinas, Delaware, and throughout the country.